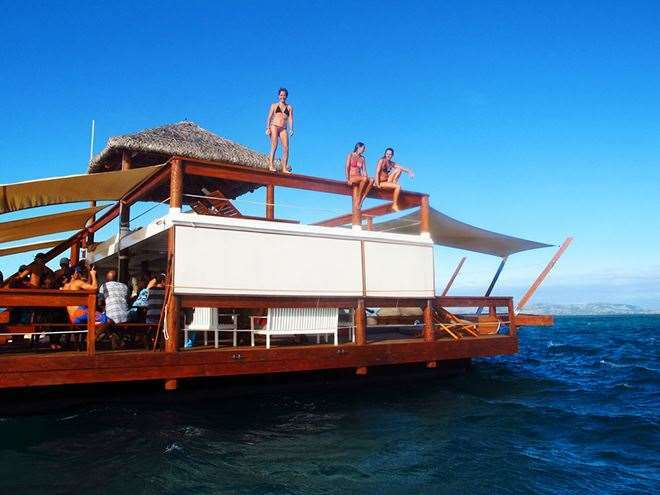 A Saturday Afternoon Fantasy Afloat! 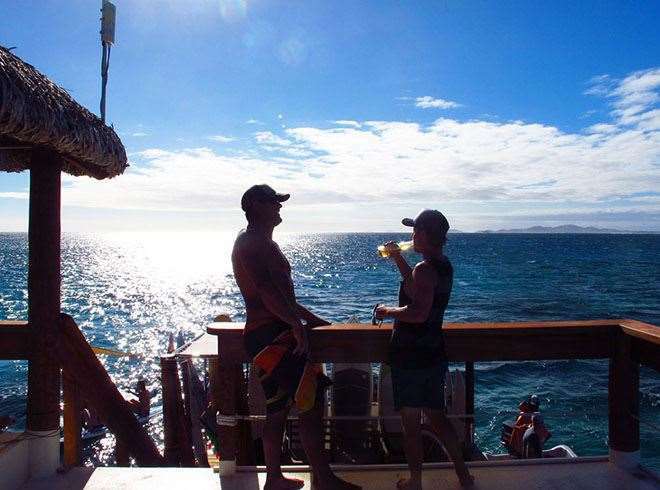 The bar is two stories high and 300 square metres of sleekly designed mahogany and pine that rests on a carpet of Pacific blue. 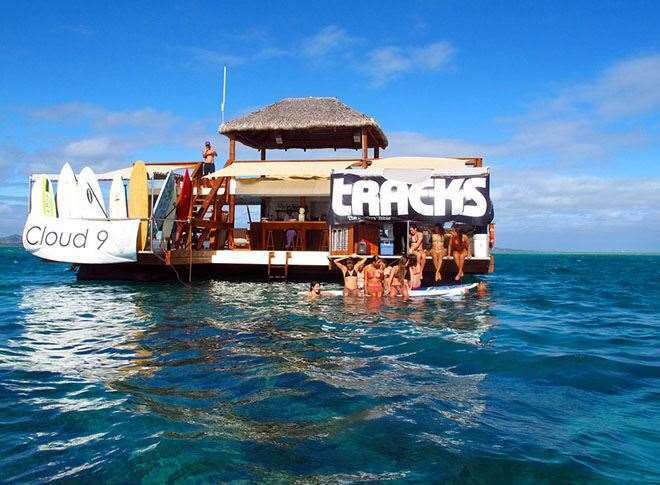 In the distance Cloudbreak’s lines cast their spell but for now the free Coronas and the pretty girls are calling. 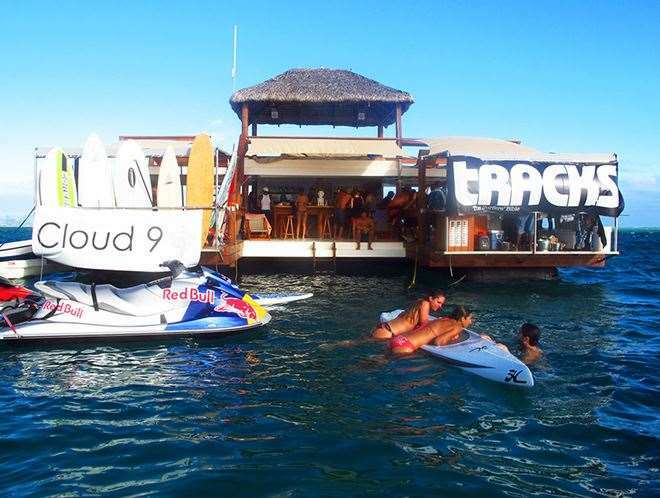 Tracks hosted a party this afternoon on the Cloud Nine bar, Fiji, which launched only a few days ago. 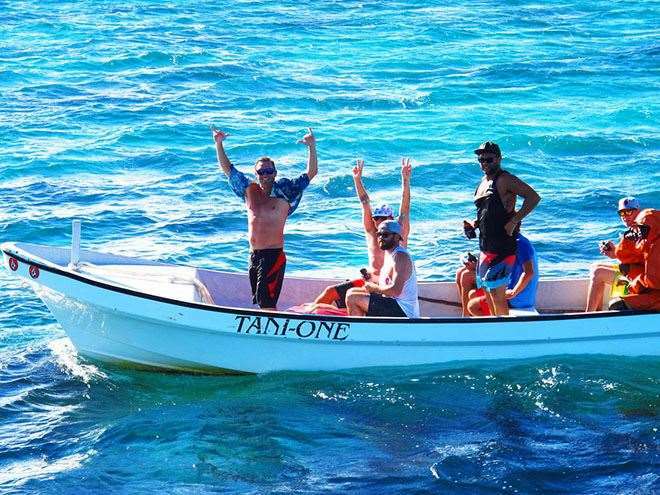 With the contest in slumber mode several of the world’s best surfers were happy to come and party in the Pacific, alongside day-tripping expats, wild-eyed seamen and a few of the locals. 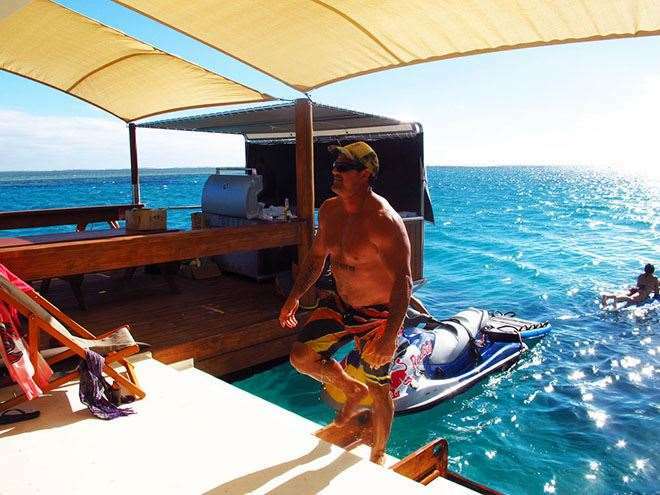 Some travelled by boat and others on the back of skis to the floating oasis that has added a whole new dimension to the Fijian experience. On the lower deck Jeremy Flores made use of his French skills with the Parisian girls while a handful of other bikini-clad vixens leapt from the top deck into the blue lagoon below. 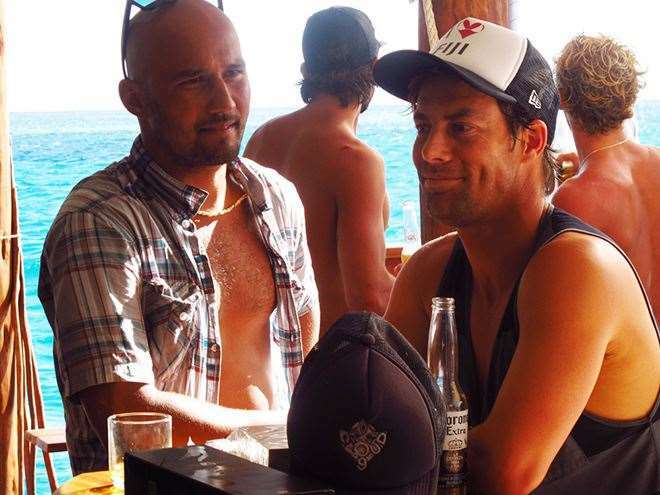 Kai Garcia, aka Kaiborg, inspired shock and awe with his shirtless, hulking frame and Freddie Patacchia sipped Johnny Walker black with Jacob, a silverfox circumnavigator of the globe.